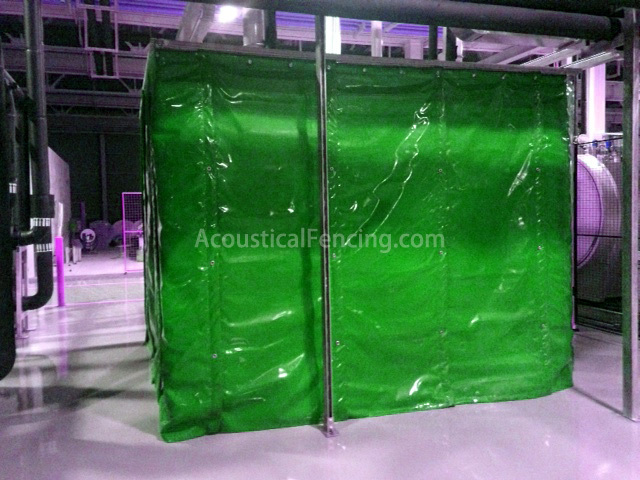 Acoustic enclosure is made up of high performance acoustical fencing that is used to reduce airborne noise energy in many industrial and architectural applications. With velcro, each two pieces can be tightly collected. 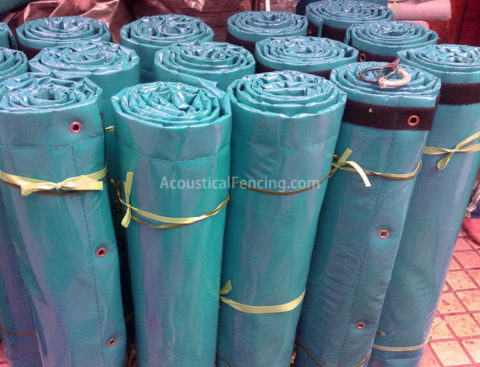 Acoustic Enclosure are high performance acoustical fencing blankets used to reduce airborne noise energy in many industrial and architectural applications. 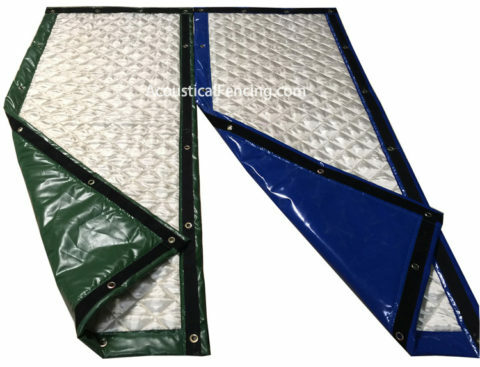 The standard configuration consists of a reinforced fiber-glass cloth encapsulated in a nonporous, vinyl covering. The vinyl covering makes our acoustic enclosure easy to clean, and resistant to moisture, humidity, dust, dirt, oils and most chemicals. Additionally, they have a wide range of temperature limits. 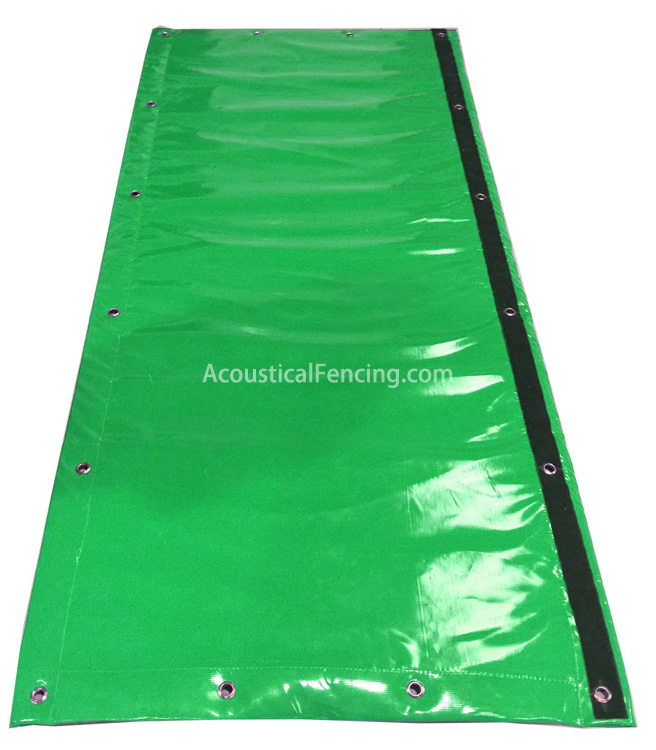 With the optional soundproofing barrier layer added, Acoustic Enclosure becomes an excellent sound blocker in addition to an excellent sound absorber. Our flexible sound proof enclosure can be easily installed, will not degrade and have extremely long service lives. Acoustic Performance — The core of our soundproofing enclosures is a polyester wool batting which gives it excellent sound absorption capabilities. With the addition of our acoustical enclosure soundproofing layer, the mass of the barrier blocks sound while its flexible nature dampens sound energy. Ease of Installation — Acoustical enclosures quilts come with grommets installed in the corners and along the edges to make installation quick and easy. Low Profile — Acoustic enclosure have an approximate thickness of 18mm, saving valuable square footage. Acoustic enclosures can be used in many situations where space is tight.